For the support he’s shown you over the years, for always standing behind you and being your #1 fan, your dad deserves to be reminded. 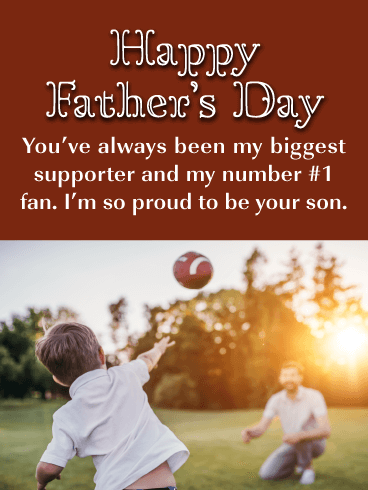 This Father’s Day, surprise him with this thoughtful card, featuring a father and his young son having a catch with the football. It’s a chance to let him know how proud you are to be his son, and how much you appreciate all he’s done. 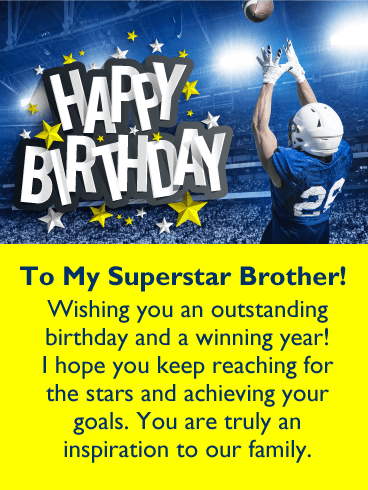 It's no secret; your brother is awesome. And while it might just be sibling affection that's making you say that, you know deep down it's true. No one can compare to him. On his birthday, celebrate his accomplishments. Make sure your brother knows just how bright his light shines. 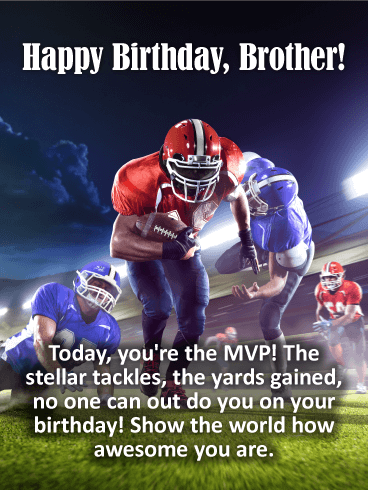 Your brother's birthday is a day for you to celebrate him, but he's important enough the whole world should celebrate too. 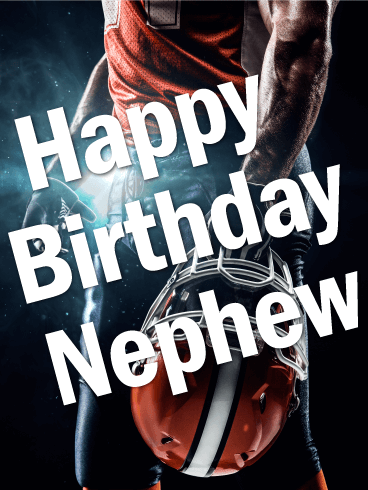 A football card for your sports loving nephew just in time for his birthday! 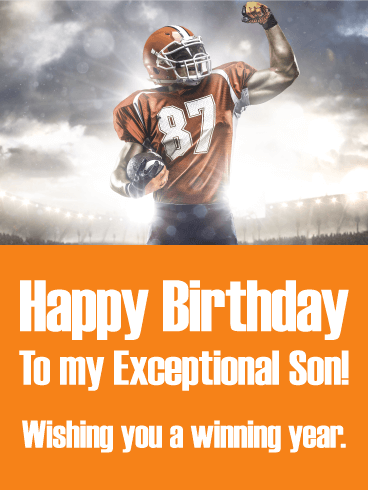 Send this football birthday greeting card to your nephew today to with him a happy birthday. It's quick, simple and a fun way to remind your nephew you are thinking about him on his special day. This football player is strong and powerful because he has been committed and focused. 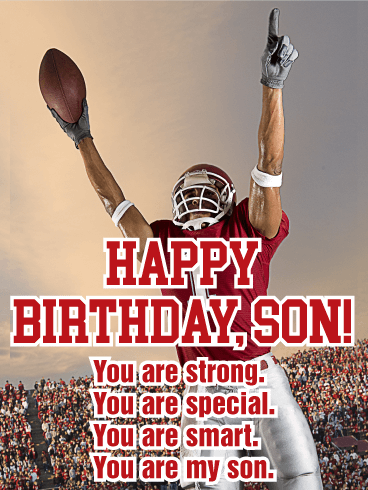 It's an inspiring card for any nephew who loves to get in the game and try his best.